Architecture is not just about constructing buildings, it’s about constructing dreams. The School of Design and Architecture officially opened it's Fall Semester Exhibition – ‘Unbuilt Visions 2015,' featuring student projects from the study summer tour to Barcelona, Spain on 29th January 2015. The exhibition inaugurated by Dr. S.V. 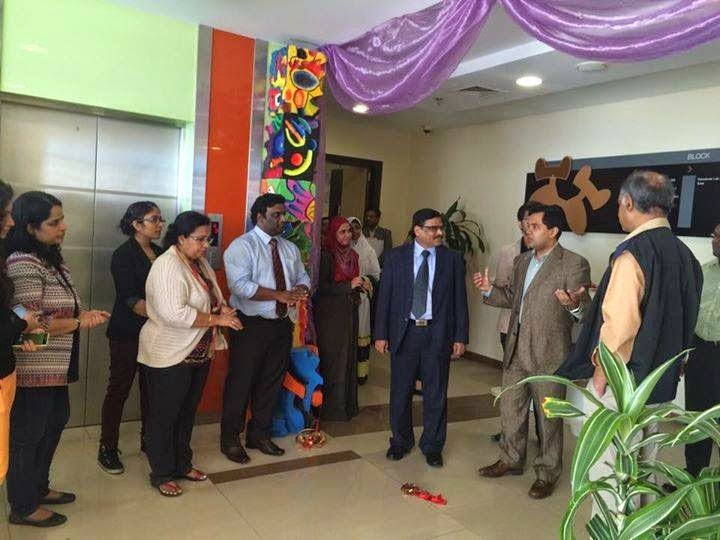 Kota Reddy; Academic President and Mr. Sudhanshu Varma, Vice President – Learning Services (Middle East and Africa) showcased student designs of futuristic housing based on their interactions and experiences in Catalonia, an autonomous community in Spain. 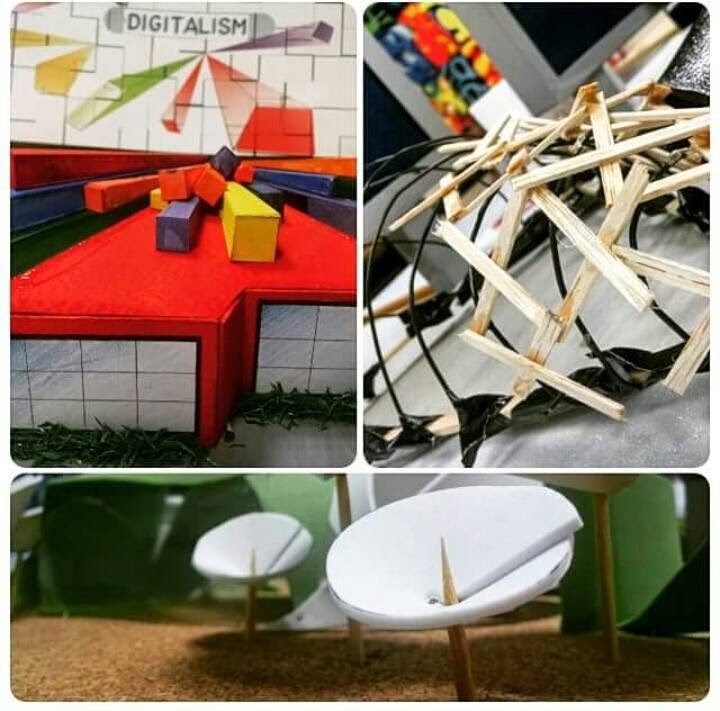 “It was right after the first month of college when we started working on our concepts and models. I personally had to make about forty rough drawings and re-do some of my designs. There were some days where I used to spend the entire day just sitting with my teachers and discussing about how I could improvise on my work.” said Sahla Rafi, a first year undergraduate student studying architecture. ‘This exhibition could not have been a huge success without the helping hand of our teachers who supported us in every way possible’ said Dhruv Parekh, a second year student from the School of Architecture. Five students from every class will be shortlisted by the External Jury Members, from "Unbuilt Visions-2015", who will go for Round-2. Round-2 will be held on Sunday, 15th February 2015 by an invited jury panel of Award Winning Designers and one Best Design from each class of Interior Design & Architecture Program will be selected. There will also be Prizes for Best Display, Best Photograph and Best Sketch. Finally, there will be a lucky draw amongst 6 final contestants for the grand prizes. The prizes include Qatar Airways free ticket, one economy class, and one economy class, upgradable to Business class at any destination in the network; Free certified course from CADD Centre (Autocad / Advanced 3D Max / Revit) & Nikon cool-pic camera from CADD Centre. The Fall semester Exhibition - "Unbuilt Visions-2015" is open to viewing between 29th January 2015 to 22nd February 2015. Timings are 9am to 4pm on all working days and on weekends Fridays : 3pm to 8pm; Saturdays : 9am to 8pm. The writer and photographer are a first year undergraduate students from the School of Media & Communication.